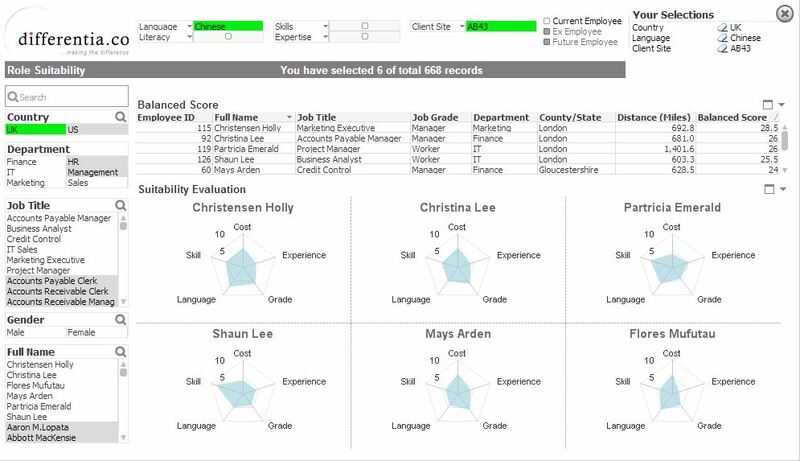 Creates a single view of the HR and HCM requirements of an enterprise, allowing all interested parties access to the same data and views according to role. Puts all of your WFM/HCM/HR information in one place and eliminates effort from periodic reporting cycle. Provides a smart solution to the candidate match for a client project. However, the greatest benefit is the availability of integrated information across all WFM/HR/HCM disciplines, relating to level of seniority, enabling clients to quickly identify opportunities and issues and providing insight in minutes as opposed to days. Smarter.WFM Workforce Management Dashboard Application is the leading solution for HR and HCM managers to address their need to report from dial to detail on a timely basis. Supported by a Self-Service BI data centric QlikView or Qlik Sense architecture. It’s added value offers accelerated time-to-report, time-to-decide, and time-to-value. Delivering operational excellence and competitive advantage to our clients. Reporting is a critical component of workforce management because companies and organisations need to be able to measure, track, and report time, attendance, and expenses if they are to reach operational efficiency. Reports that involve real-time analytics are the most beneficial, these drive companies and organisations to identify non-performing projects, reduce employee downtime, and control expenditures while increasing revenue. Our Smarter.WFM solution that provides workforce analytics that automate these processes for companies and organisations. 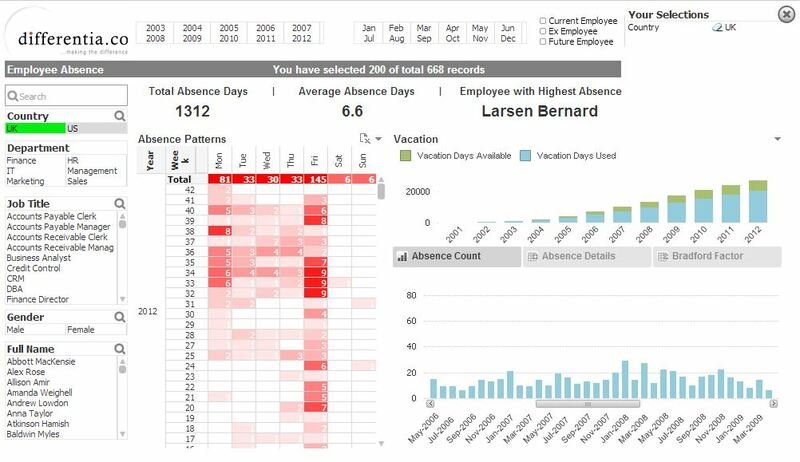 As for dashboards, these are essential for any workforce management software. Smarter.WFM provides a quick and simple way of tracking employee status, progress, and real-time activity. It offers visual displays of workforce management data and give key insight into critical WFM processes. 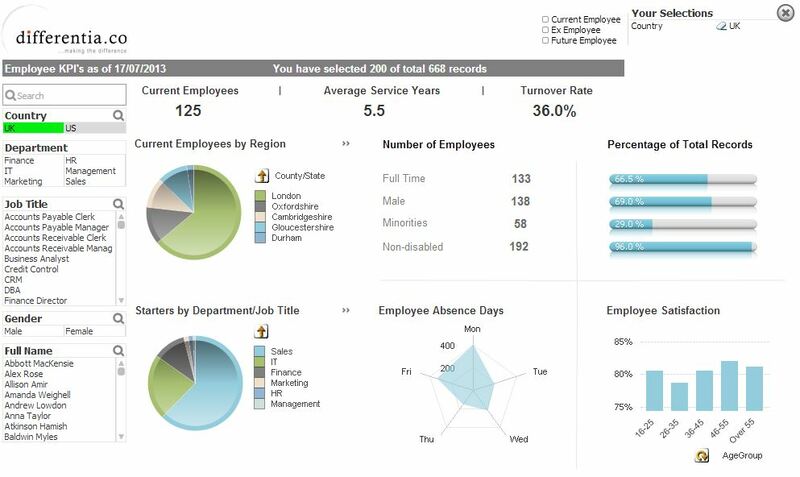 Typically, companies and organisations utilise dashboards to improve employee and overall organisation efficiency. The QlikView Smarter.WFM dashboarding solution puts all of your WFM/HCM/HR information in one place and eliminates effort from periodic reporting cycle. The greatest benefits though are having integrated information across all WFM/HR/HCM disciplines, relating to level of seniority, enabling clients to quickly identify opportunities and issues and providing insight in minutes as opposed to days. Differentia Consulting delivered this enterprise ready solution to showcase at the QlikTech UK Business Discovery World Tour in 2012. It took less than three weeks to design and build. We believe it could save ten times that per client each year. Xiaoguang Li, QlikView Developer, Differentia Consulting. To understand how Smarter.WFM powered by the Qlik Analytics Platform can help your business get in touch today.